EUR/USD: Neutral (since 21 Aug 18, 1.1485): Downward pressure has eased, EUR to trade sideways. We cautioned yesterday (15 Nov, spot at 1.1315) “the odds for a break of 1.1200 have diminished” and the subsequent break of the 1.1350 ‘key resistance’ (high of 1.1362) was not surprising. As indicated, a break of the ‘key resistance’ would indicate that downward pressure has eased and EUR has likely found a short-term bottom near 1.1215 (low seen earlier this week). In other words, we expect 1.1215 to stay intact for the next one week or so. However, the current price action is deemed as part of a correction/consolidation phase and not the start of a sustained recovery. All in, we expect EUR to trade sideways albeit with a positive bias within a 1.1240/1.1430 range. GBP/USD: Neutral (since 21 Aug 18, spot at 1.2795): Prospect of a fresh low for the year has increased. Volatility remains at an elevated level and the whippy price actions over the past few days offer no strong clues on the direction of the next directional move. However, the outsized decline of -1.59% yesterday (NY close of 1.2775) does suggest that the risk of a break of the 1.2662 year-to-date low has increased. All in, we expect GBP to stay pressure in the coming days unless it can move and stay above the 1.2980. Looking ahead, a break of the year-to-date low could lead to acceleration lower towards the next support at 1.2590. AUD/USD: Neutral (since 13 Sep 18, spot at 0.7170): October’s peak of 0.7315 is back in sight. No change in view. However, ‘key support’ has moved higher to 0.7190 from 0.7150. 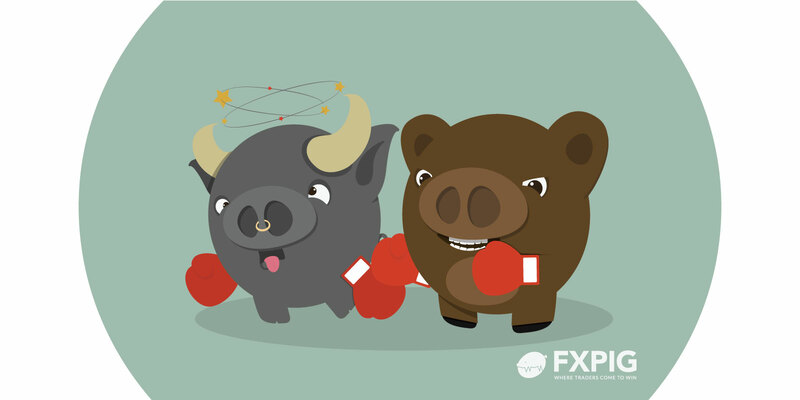 We have been “anticipating further AUD strength to 0.7315” since last Thursday (08 Nov, spot at 0.7275) but after the relatively sharp pull-back from 0.7303, we cautioned on Tuesday (13 Nov, spot at 0.7175), the “odds for further AUD strength have diminished”. The ‘key support’ at 0.7150 barely held (low of 0.7164 on Tuesday) but the strong surge just a while ago after the release of better than expected Australia job data suggests 0.7315 is back in sight. However, upward momentum is not as strong as preferred and while AUD could move to 0.7315, it may find it difficult to maintain a toehold above this level (next resistance is at 0.7355). For now, there is no change to the ‘key support’ at 0.7150 but this level is expected to rise quickly over the next few days. NZD/USD: Neutral (since 20 Aug 18, 0.6625): NY closing above 0.6850 would suggest further NZD strength to 0.6900. NZD continues to move higher at a rapid clip and hit a high of 0.6840. We highlighted yesterday (15 Nov, spot at 0.6790) “further NZD strength is not ruled out but 0.6850 is likely out of reach”. For now, we continue to see strong resistance at 0.6850 but if NZD closes above 0.6850 in NY, then it is likely we will see a move to 0.6900 next. All in, we expect NZD to stay supported as long as 0.6750 is intact. USD/JPY: Neutral (since 09 Oct 18, 113.10): USD to trade sideways with a downward bias. We cautioned yesterday the “odds for further USD strength have diminished” and the subsequent breach of the 113.20 ‘key support’ was not surprising (low has been 113.09). While the 114.20 high seen on Monday (12 Nov) is deemed as a short-term top, it is too soon to expect the start of a sustained down-move. USD is more likely to trade sideways in the coming days, albeit with a downward bias (likely within a 112.60/114.05 range).